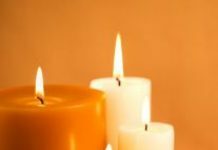 Susan Cook, 63, died Monday, November 5, 2018 at her daughter’s residence. Born in Detroit, Michigan, Susan was the daughter of the late Harry Edwin and LaMay Alice Rosemary Hojnacki. She graduated from St. Mary’s Catholic School in 1973. Susan went on to do many things which included being a fitness trainer, retail salesperson, homemaker, business owner (Karate Studio and Dry Fruits and Nuts) and most of all a mother. Susan lived all over the country – from Northeast to the Southwest before calling the Tennessee mountains home in 1996. She spent the last 20 years working locally as a restaurant cook and server touching many people’s lives. Susan’s hobbies included spending time with her daughters, continuously learning, gardening, gathering heart shaped rocks and cooking from scratch. She made the best apple pie, pork chops, potato salad and coleslaw. She was a wonderful teacher of life and therefore an excellent mother and grandmother. Susan is preceded in death by one son, her brothers Richard Hojnacki and Raymond Hojnacki. 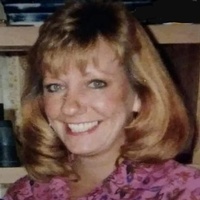 She is survived by her four daughters: Shalea (Todd) Thompson of Knoxville, Natalie Hurd of Tucson, Arizona, Nanette (Danny) Noe of Spring City and Angela Cook of Spring City, six grandchildren Aliezah Blevins and Brooklyn Blevins of Knoxville, Evan Daglio and Kiley Hurd of Tucson, Arizona, Dylan Noe and Colton Noe of Spring City and one great grandchild due this month (Aliezah Blevins), brother John Hojnacki of Tampa, Florida and nephew Kevin (Laura) Hojnacki of Tampa, Florida. 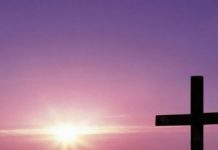 Memorial services will be Thursday, November 8, 2018 at 6:00 pm in the chapel of Vaughn Funeral Home. The family will receive friends Thursday from 4:00 pm to 6:00 pm at Vaughn Funeral Home. The family would like to thank Simply Bank’s South Dayton Branch for providing meals during this time. A special thanks to Beth Brenneman for her time, love and support. Also, thank you to the Amedisys Hospice staff for your care and guidance. Vaughn Funeral Home, Spring City, Tennessee, is in charge of arrangements. 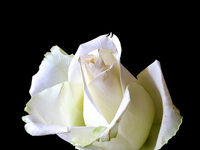 Please share your condolences and memories of Susan on our website www.vaughn-funeral-home.com.